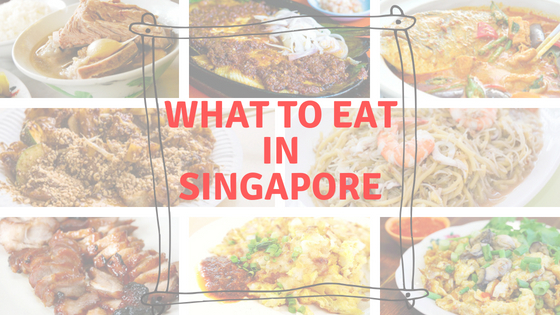 What to eat in Singapore – The bustling city of Singapore is unquestionably one of the top travel destinations in Southeast Asia. Often, tourists flock to this country because of the ultra-modern environment and one-of-a-kind attractions. While much of the sights and sounds in Singapore closely compete with western hotpots and lifestyle, their taste buds haven’t been swayed. As a tourist, you’d be missing a lot if you end your visit without trying some of the deliciously satisfying classic dishes this city state has to offer. Wondering which ones are really worth it? Find out here. The Singapore-style chicken rice is regarded as the national dish. 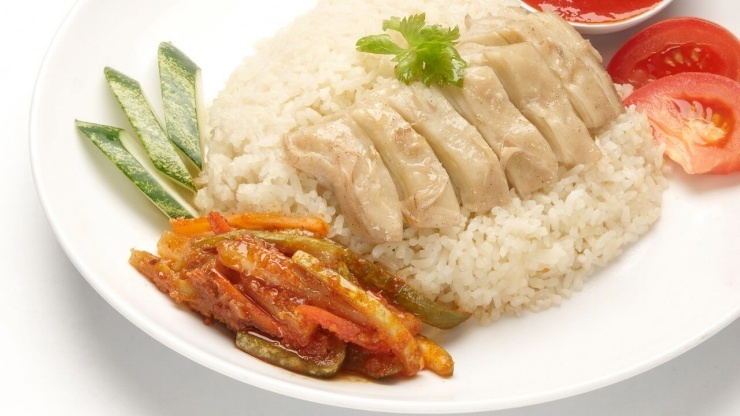 It is formally known as the Hainanese Chicken Rice. This dish is imbued with local Cantonese influence and can be found in almost all food stalls, hawker centers, food courts and high-end restos. The delectable, tender chicken meat is best enjoyed with tangy red chilli sauce dip. When you see the head of a Red Snapper and a mix of veggies soaking in a spicy sauce, it’s the Fish Head Curry no doubt. This classic and unique stew is the embodiment of a cultural melting pot. 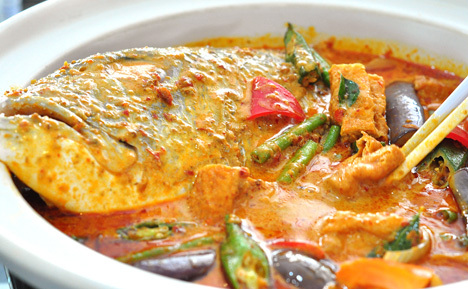 There is a fusion of a typical South Indian curry with the Chinese’s favorite delicacy, the fish head. If you are thinking what to eat in singapore for dinner, this is a good choice! Who would have thought that this pushcart dish in the late 50s will gain worldwide prominence? 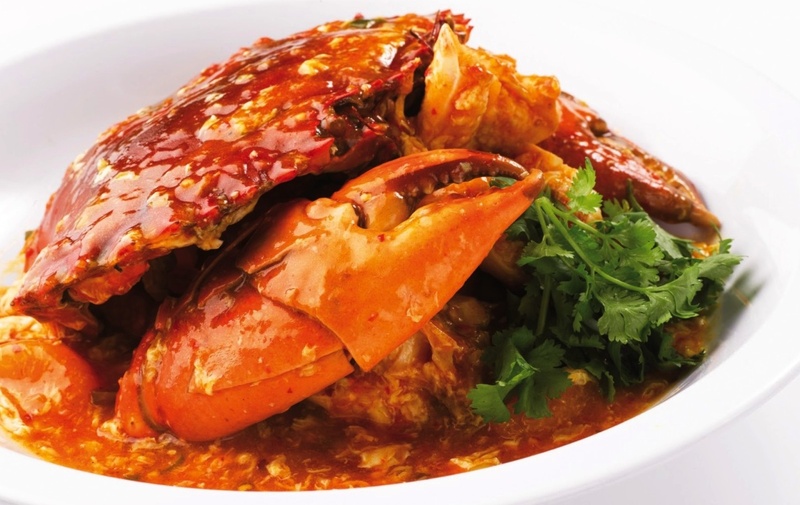 The Chilli Crab is an icon, if not the unofficial national dish, in Singapore. It is one of the greatest culinary inventions the country has ever seen. Dip the fried or steamed buns, called mantous, in the tangy sauce (blend of tomatoes and chilli paste) that penetrates deep in to the meat of the stir-fried crab. Chilli crab is one of the Singapore best foods! The home-grown Katong Laksa is the distinctive noodle soup with the perfect blend of spice and coconut milk. 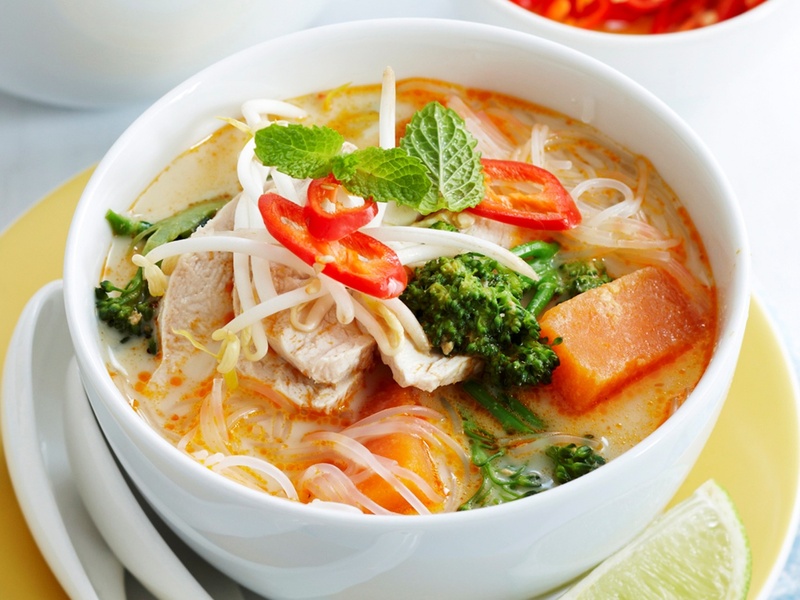 You can enjoy a variety of laksa in Singapore that will comfort your hungry tummy and make you crave for more servings. A dish need not be elaborate to make it into the classic list. The Hokkien Prwn Mee is a simple dish of yellow noodles stir-fried together with juicy prawns, squid, pork belly strips, egg and crunchy fried pork lard. The result is a remarkably filling noodle dish that is one for the books. 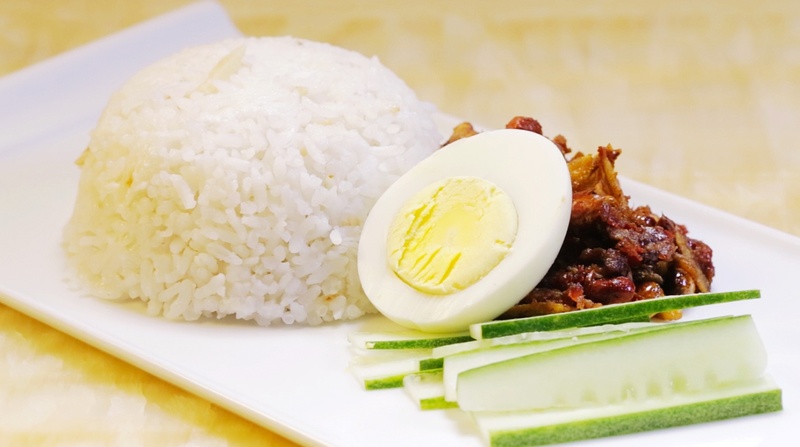 If you’re after a hearty meal, the Nasi Lemak is the thing for you. This creamy rice that comes with a deep-fried fish or chicken wings is laced with the spicy sambal to give it that extra punch. The sides include the fried ‘ikan bilis‘ (local anchovies) and peanuts, eggs, cucumber slices. You can’t judge the taste of a dish by its dark appearance and sticky texture. But the Rojak is a concoction you can’t find anywhere else. 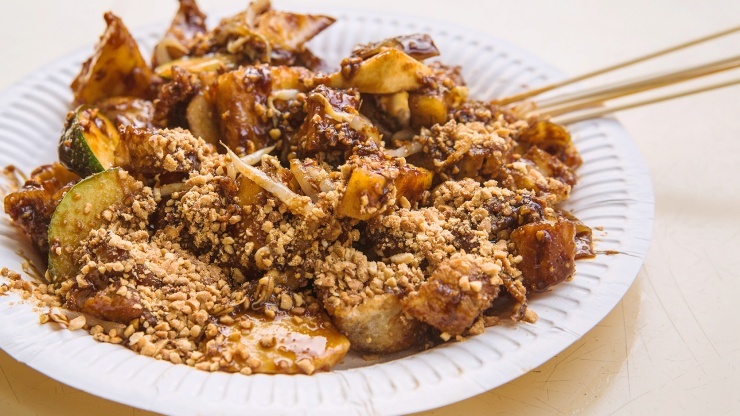 Rojak is the local salad known for its electrifying taste. It’s a mingling of mixed vegetables, fruits, and dough fritters that is roofed in a sticky black sauce, embellished with chopped peanuts and finely-cut fragrant ginger flowers. The zesty taste of the salad will never be forgotten. You won’t see nor taste a carrot in this cake. The local Fried Carrot Cake is by no means orange too. This flavorful dish is made out of steamed rice flour and preserved white radish chopped into square bits and fried with garlic and eggs. 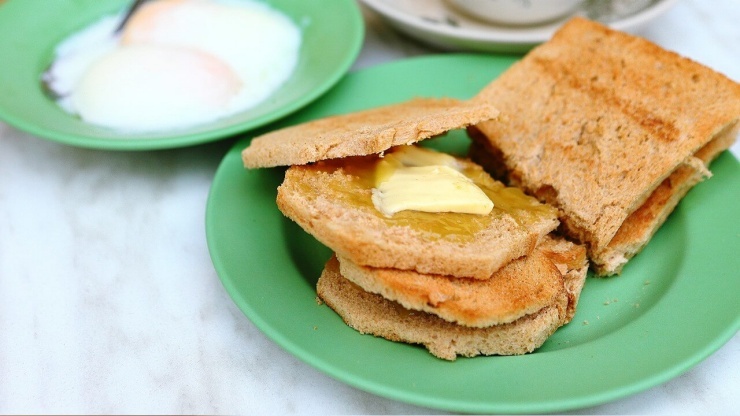 This Indian specialty made its way into Singapore’s food scene and has become an everyday staple dish. 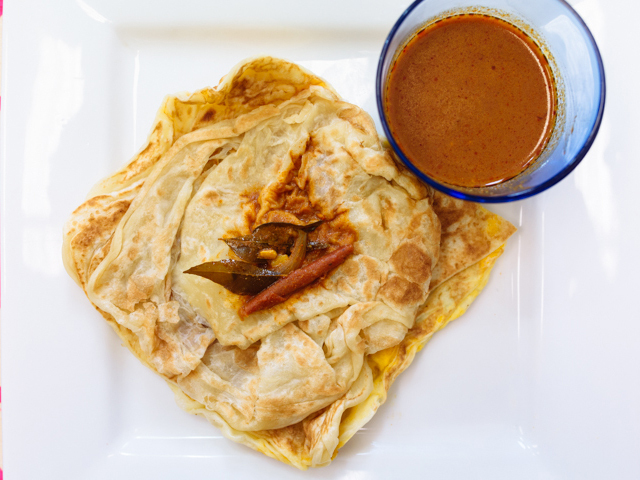 Rota Prata is a fried, stretched-out dough flavored with an Indian clarified butter (ghee) and served with fish or mutton curry. It’s more like a pancake that is crispy on the outside but soft on the inside. A dish can’t get any simpler than this. This dish is served with a generous helping of barbequed or roasted pork in a thick sauce. You have the option to have it with rice or noodles. 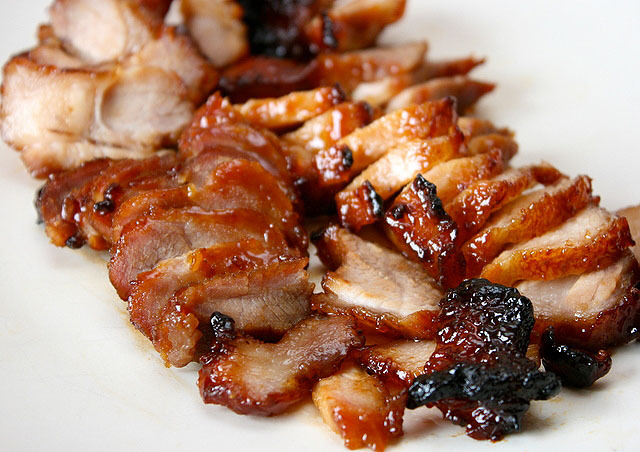 Try a serving or two of Char Siew to fill your belly. This pork rib soup is packed with Chinese herbs and spices. It’s simmered for hours to reel in the flavors while mixed with light and dark soy sauce. 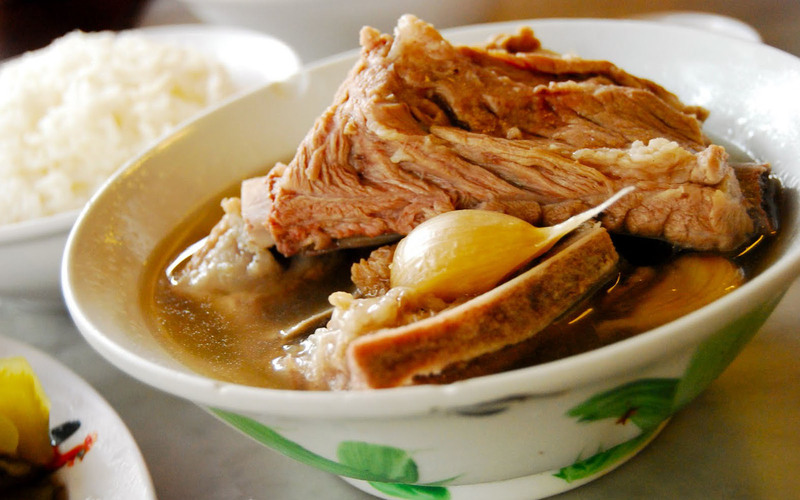 Bak Kut Teh used to be a breakfast meal eaten with steamed rice. Today you can have it anytime as you please. Singaporeans really have a way with food. The Oyster Omelette is basically an egg omelette mixed with flour and fried together with small oysters decked with coriander leaves. Singaporeans love their barbecues whether it’s beef, chicken or pork. 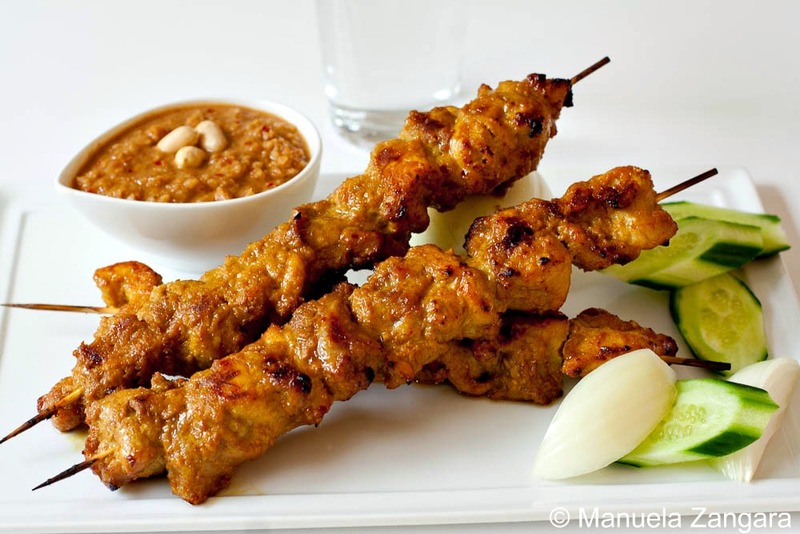 Satays are skewered grilled meat served with ‘ketupat’ (rice cake), peanut sauce and cucumber-chili relish. The dish can be your appetizer to go with your chilled beer. When there’s smoke with the smell of turmeric, a satay is grilling nearby. 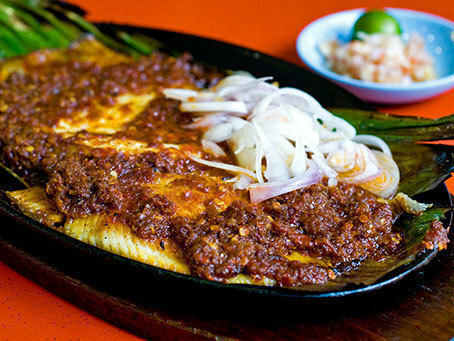 The classic version of the BBQ Stingray is an exquisite seafood dish found in Singapore. Interestingly, locals and tourists alike have been visiting hawker stalls to have taste of this ocean creature. A thick sambal sauce over the stingray meat, then wrapped in banana leaves before cooking it slowly on the grill. The Singapore food scene is where Malay, Chinese, Indonesian, Indian and Western cuisine converge. 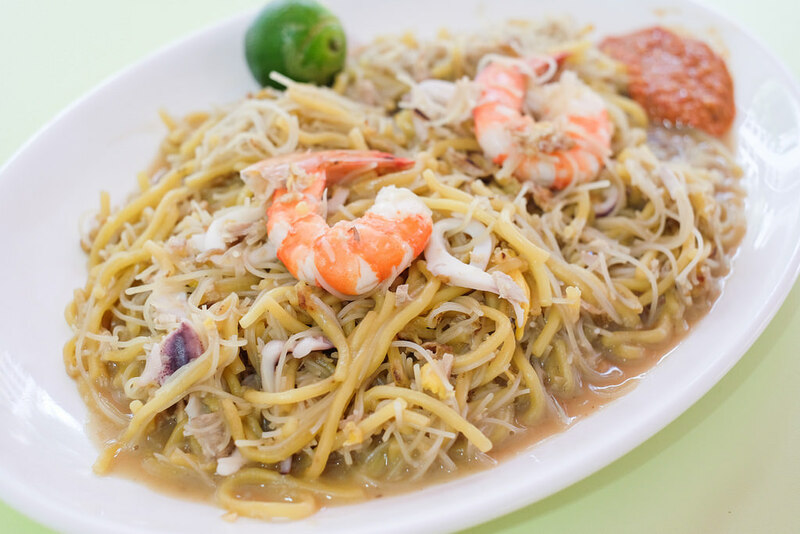 That’s why these classic dishes from this cosmopolitan country will never lose its tantalizing effect on food lovers. New recipes may come along, but the tastes of the classics are unmatched. Not now, not ever. 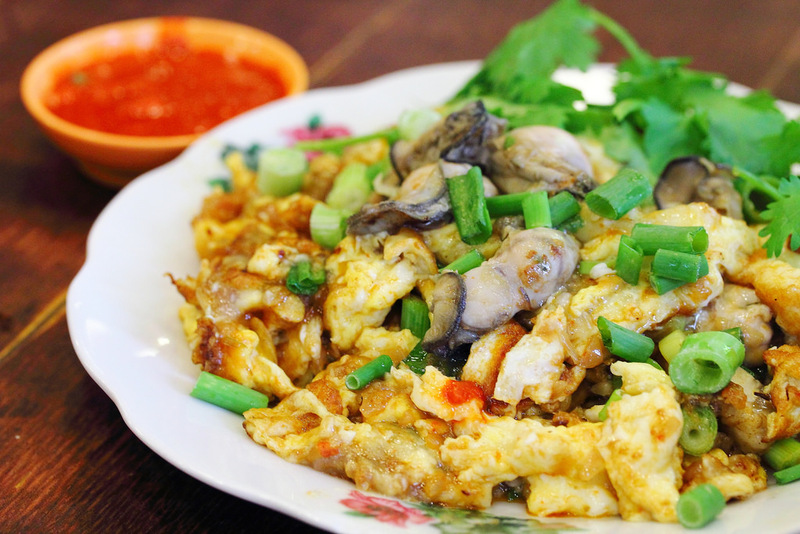 So be sure to try these tasty dishes the next time you find yourself in Singapore! 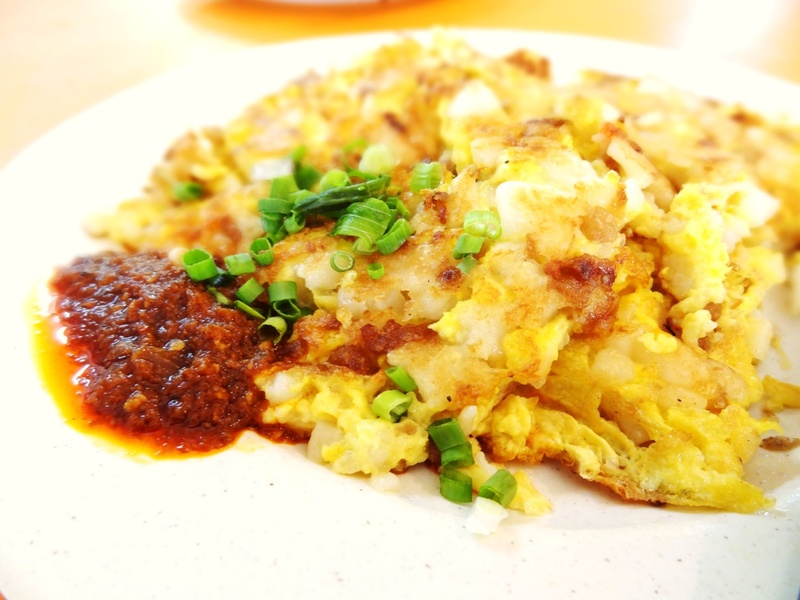 Hope you like this What To Eat In Singapore Guide.